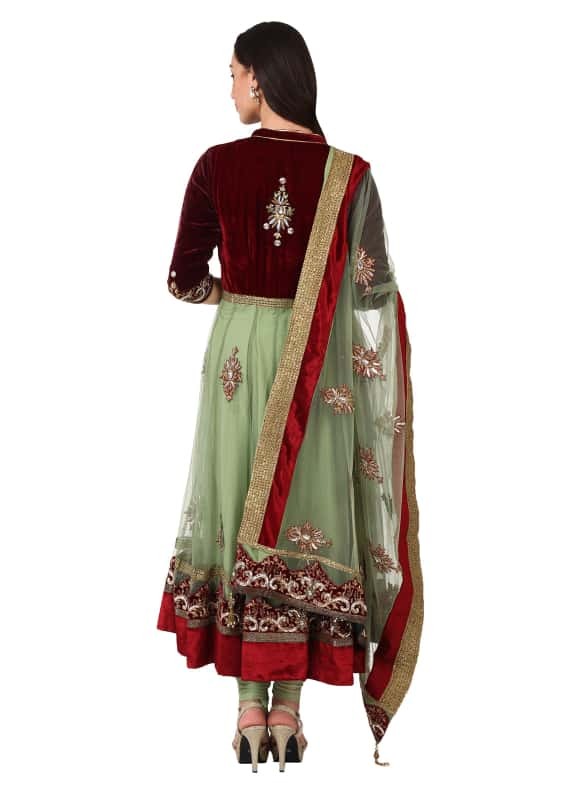 This sea green anarkali set comes with a contrasting wine velvet bodice with heavy zari, gota and swarovski work. 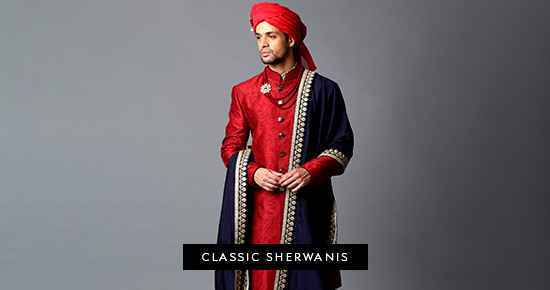 It is paired with a matching sea green net dupatta. 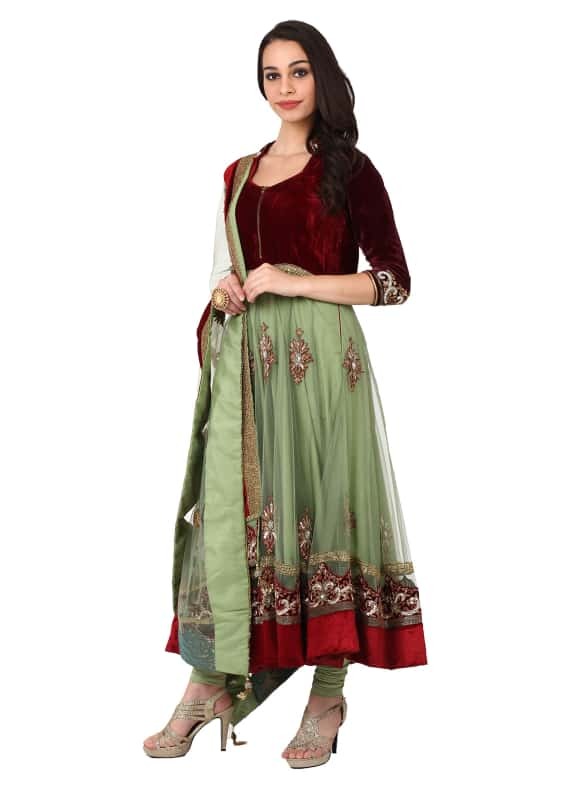 Turn heads in this stunning dual toned Anarkali set and style it with a pair of Micare earrings and a ring by Amethyst.